Peter Berg makes films about blokes. From Friday Night Lights to The Kingdom to Battleship to his most recent effort Lone Survivor, Berg is very much a filmmaker who tells stories about men. 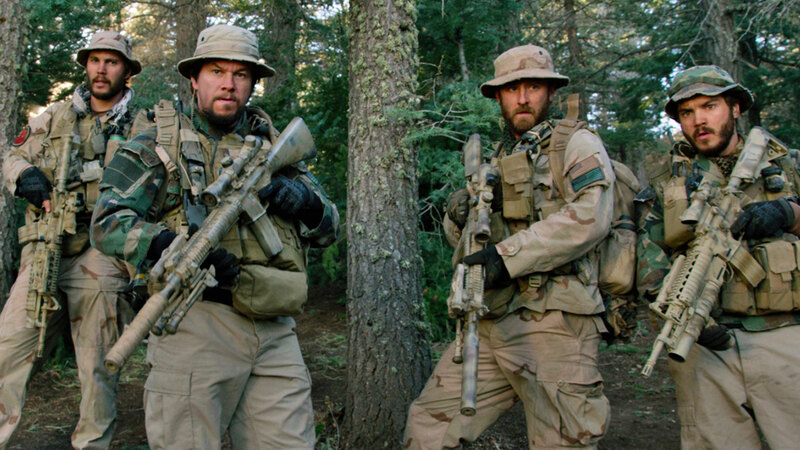 His films deal with camaraderie, pride, endurance, heroism and sacrifice and, as such, Lone Survivor fits the bill perfectly. Returning to the middle-east setting of The Kingdom, Berg presents a story drawn from real life in which a small group of American Navy SEALS find themselves isolated, outnumbered and under attack in the mountains of Afghanistan. Based on a memoir of the same name by Marcus Luttrell, the film joins that unique group of movies in which the title tells us exactly how it is all going to end (The Virgin Suicides is another that comes to mind) and such knowledge may certainly influence whether you engage with the story and the characters. Berg opens proceedings with documentary-style footage of real Navy SEALS undergoing their notoriously torturous mental and physical training regime. Once it has been made abundantly clear just how tough these men are, we cut to footage of a military helicopter sweeping over a sun-drenched plain. It is at this point that we meet Luttrell (Mark Wahlberg), bloodied and beaten and barely alive with medics working frantically to keep him that way. 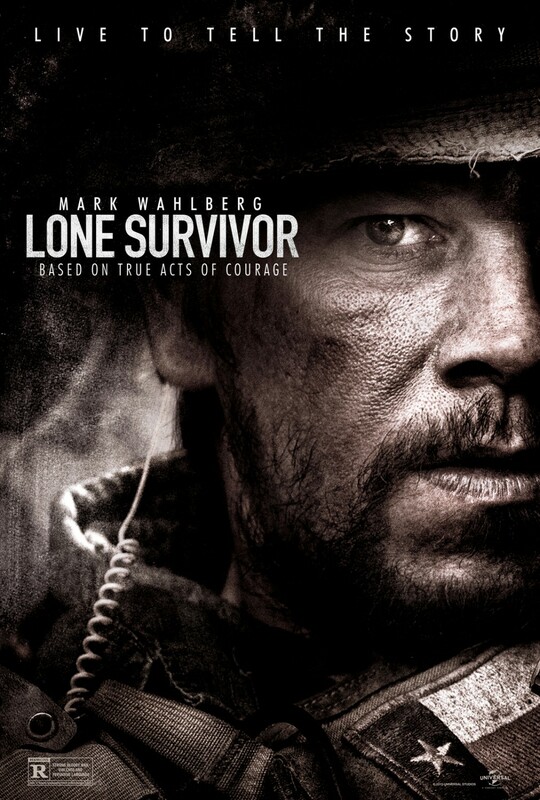 At this very early stage, even those not familiar with the book are in no doubt about the identity of the lone survivor, so Berg really needs to make sure that what is to come is compelling enough to maintain audience interest. Thankfully, he is mostly successful, particularly when the action moves to the mountains where things do not go according to plan. With Luttrell’s life in the balance, the story switches back to a few days earlier to track the tragic series of events that played out. We are introduced to the other key characters through a series of clichéd scenes at the military base; male posturing, initiation rituals, bravado and references galore to the wives and girlfriends at home, a trope used to manipulate our emotions when our heroes find themselves in danger. Soon enough, Luttrell is one of four elite SEALS despatched to Afghanistan by Commander Kristensen (Eric Bana) on a mission to capture or kill a notorious Taliban leader. 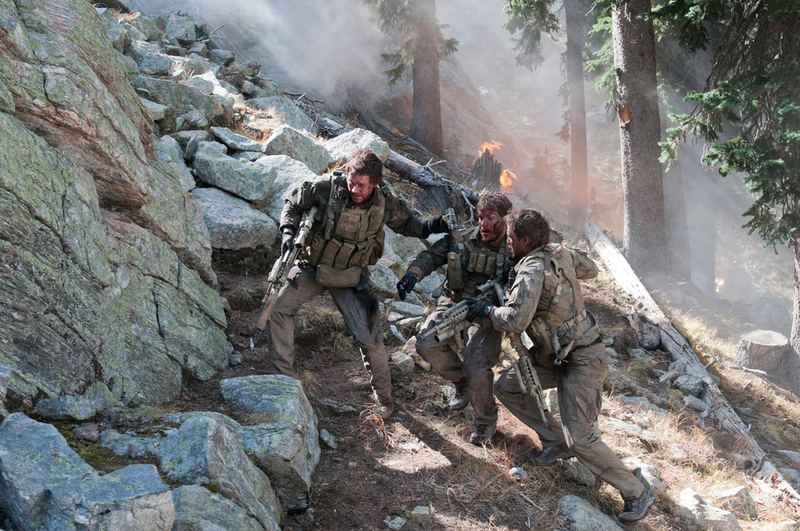 Michael Murphy (Taylor Kitsch), Danny Dietz (Emile Hirsch) and Matt Axelson (Ben Foster) serve as Luttrell’s comrades-in-arms for the mission, which soon goes awry when the quartet find it difficult to maintain radio contact with their base. When a group of goat herders stumble across their position, they are initially captured by the Americans before being released, a decision that ultimately proves very costly indeed. As the squad heads for higher ground with the hope of making contact to secure their extraction, they encounter a much larger group of Taliban and an extended gun battle ensues. It is this conflict that takes up most of the running time as the four Americans continue to repel their attackers despite suffering all manner of injuries, from multiple gunshot wounds to broken legs. Ultimately though, it is only Luttrell who survives the onslaught and, with the aid of local villagers at great risk to themselves, is ultimately rescued. From this point, much of the tension disappears because, while we know that Luttrell is severely injured and fighting for life, we also know that he ultimately survives. Whilst Berg has again constructed a movie that celebrates masculinity and heroism, he doesn’t necessarily swathe the military machine in glory. The absence of effective communication systems and the bureaucratic wrangling at the base were, according to this version of events at least, the catalysts for this mission becoming such an epic failure at great personal cost to the soldiers involved and the many others who also perished in the initial attempts to rescue them. The action sequences in the mountains are very well constructed and do leave you with a real sense of what these men endured. The fact that they survived as long as they did is testament to their courage and training. With Jerry Ferrara (Turtle from TV’s Entourage) and Alexander Ludwig (The Hunger Games) in supporting roles, Lone Survivor is physically brutal and philosophically ambiguous, although a cover version of David Bowie’s Heroes accompanying the final credits leaves us in no doubt about how we are expected to feel.